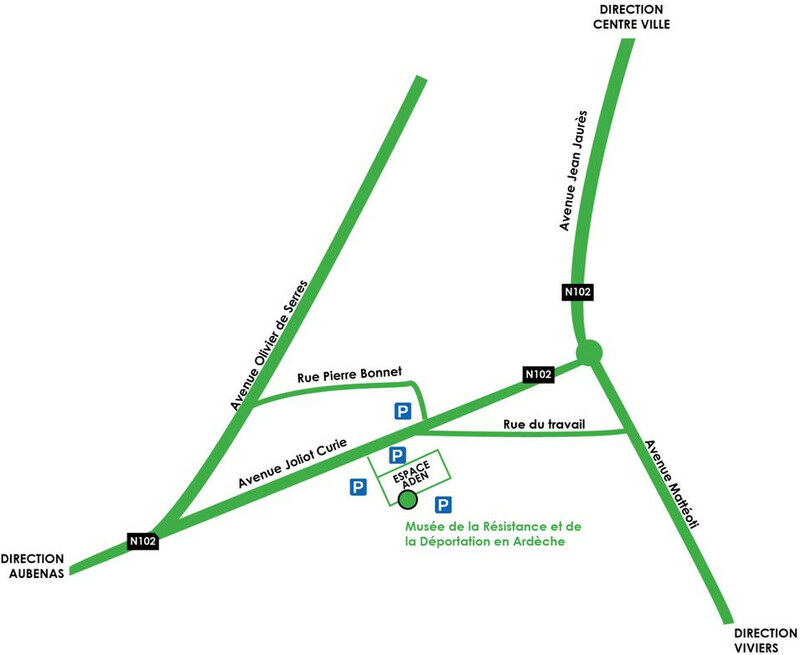 Created in 1992, the Museum of Resistance and Deportation in Ardèche offers a walkway recalling the main events of the Second World War and focuses on the regional issues of resistance in Ardèche. Besides its pedagogical purpose, the Museum is committed to the duty of the remembrance of this dark period of the French History. Open from the beginning of Winter holidays (mid-February) to the last week-end of November. School holidays (zone A on school holidays calendar) and from the 1st of July to the second week-end of September (summer). Monday to Friday : 10 - 12 a.m / 2 - 5 p.m. The museum may be open on week-ends for some events (Europeans Heritage Days for example). Please refer to the home page to know when. Free : children under 12 years old, groups of pupils, Pass Ardèche. Groups (from 10 people) : 2 € (prior booking needed, by email or by phone). Pass Ardèche can be bought at the museum. Payment accepted : cash or check. Audio guides in English are loaned free of charge. The permanent exhibition of the museum and facilities are fully accessible to people with reduced mobility. The museum is located on the back of the building called « Espace Aden ». You can park in front of the museum.